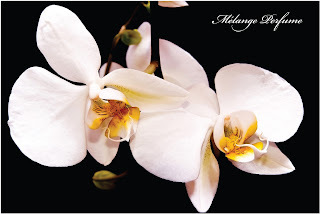 A dedicated perfumer and creator of Melange Solid Perfumes and Melange Roll-On Perfumes. A modern, inspired update for a vanilla-based perfume. Vanilla Orchid & opulent Amber are enlivened with the fragrance of fresh Ume Plum Blossoms. A perfectly composed melange of warm and fruit notes that is wearable year-around. 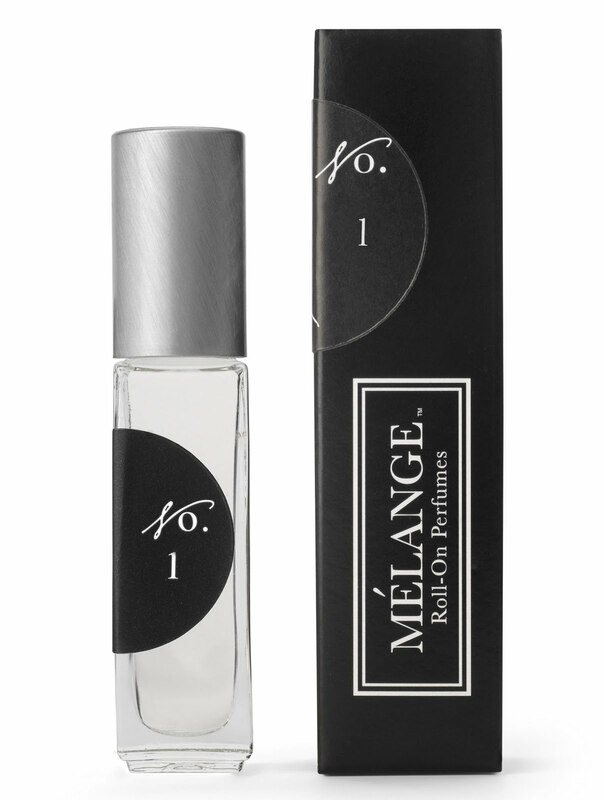 Alcohol free, each Melange Roll-On Perfume is formulated in a natural base of fractionated coconut oil, which allows our perfume to remain largely unchanged over time; and antioxidant Hawaiian Kukui Nut Oil. Our perfumes are hand-poured in our studio and inspired by the most sought-after notes in custom blending. Each perfume blend is numbered in an archive format. Our perfumes are designed to be worn alone or blended with one another to create a custom fragrance blend - melange (french), to mix or blend. 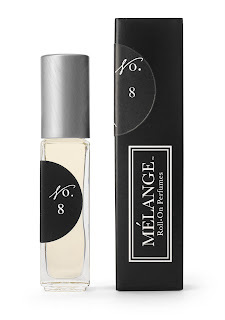 Melange Roll-On Perfumes are available online or please check our website for a store location near you. 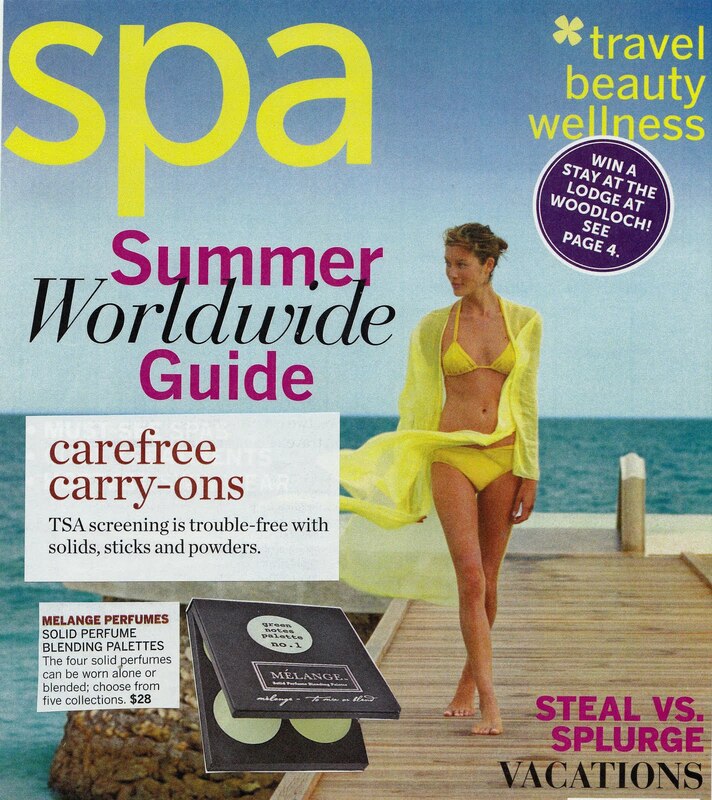 Melange Solid Perfume Blending Palettes are featured in the Summer issue of Spa Magazine's Worldwide Travel issue. 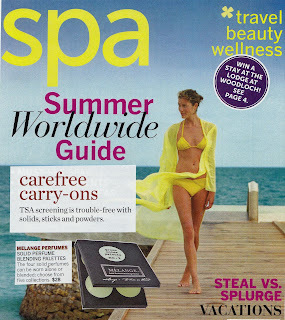 I am a huge fan of this magazine because it highlights some of the worlds most beautiful spa's and the ways they use local plant and flower extracts and minerals in their treatments. If you are like me and have been asked to hand-over a bottle of perfume at an airport checkpoint you understand why we love the blending palettes so much. Small & lightweight, they breeze through a checkpoint and still deliver all the benefits of a suitcase full of fragrances. Any of these blends is perfect worn alone. Or, you can release your inner perfumer and blend Green Tea & Honeysuckle with Mimosa, Mint & Citron. For evening, you could add a top note of Cut Grass & Paperwhite. I love wearing Cucumber, Sakura & White Tea with Mimosa, Mint & Citron. My current obsession is to blend Green Tea & Honeysuckle with Jasmine & Neroli from the Floral Notes palette. This understated & light blend has captivated many people who previously would not wear perfume. 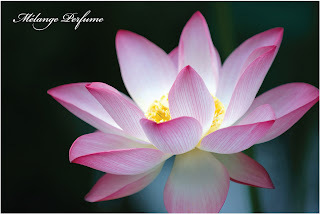 The fragrance of delicate Waterlily flowers is artfully interlaced with notes of Cucumber & Cut Grass. An inspired balance of aqueous, floral & green notes.